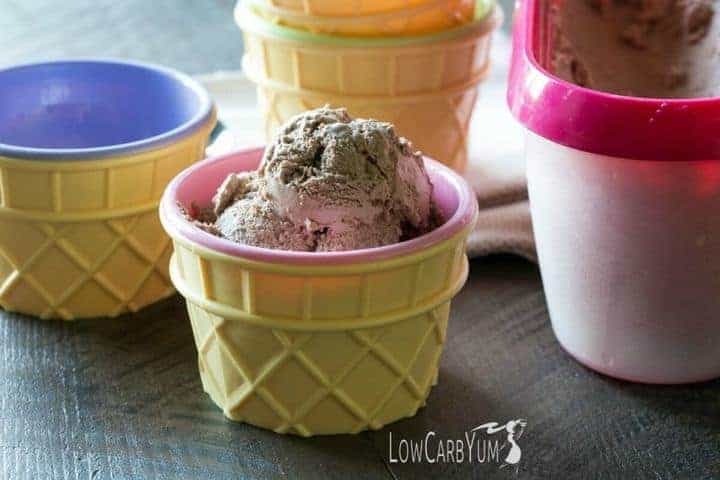 I finally got around to making some low carb ice cream. Yea! You know the weather is hot in Connecticut when I NEED my ice cream. 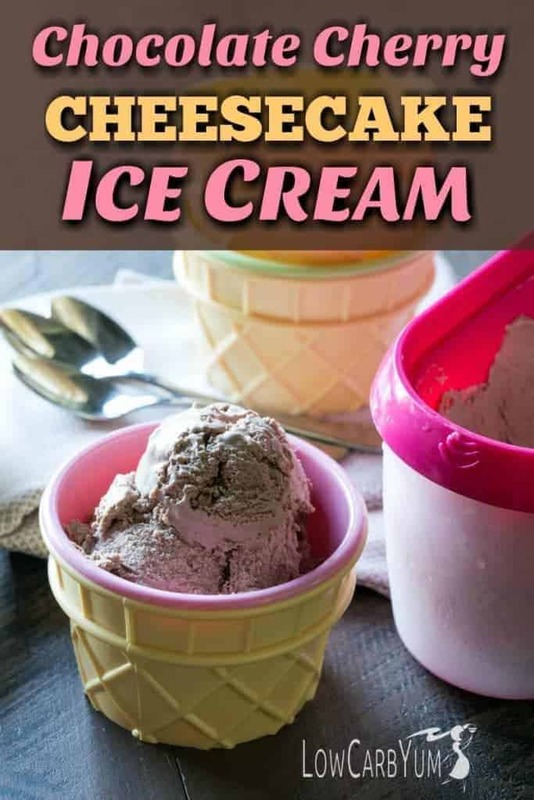 I’ve had a lot of success using cream cheese in low ice cream. So, this time, I made a batch of chocolate cherry cheesecake ice cream. This ice cream flavor has been in the back of my mind for a while. I love the taste of chocolate and cherry. Since cherries can be high in sugar, I flavored the ice cream with cherry extract. 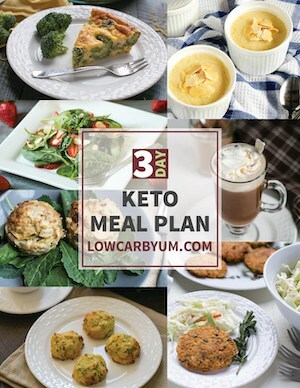 The extract gives a nice cherry flavor without adding a significant amount of carbs. 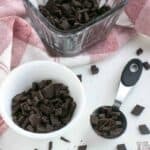 I also used extract in my no bake black forest mousse recipe. That’s another great recipe to make over the summer! 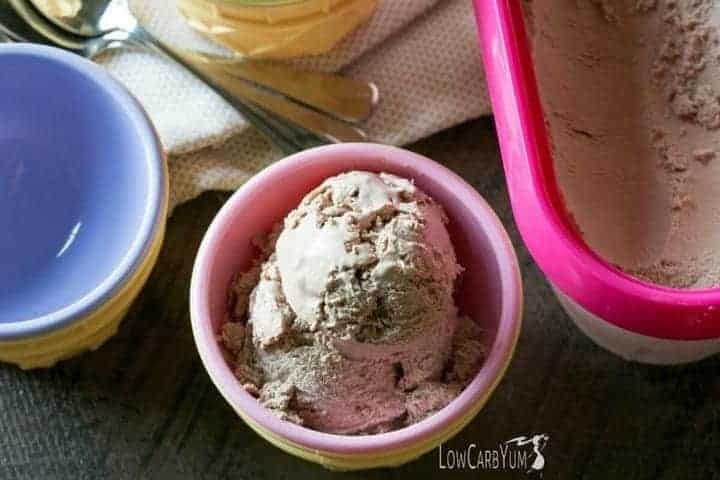 Although I used an ice cream maker for this low carb chocolate cherry cheesecake ice cream recipe, you might be able to get away without one. The mix is pretty stiff, so I bet it would freeze well without churning. 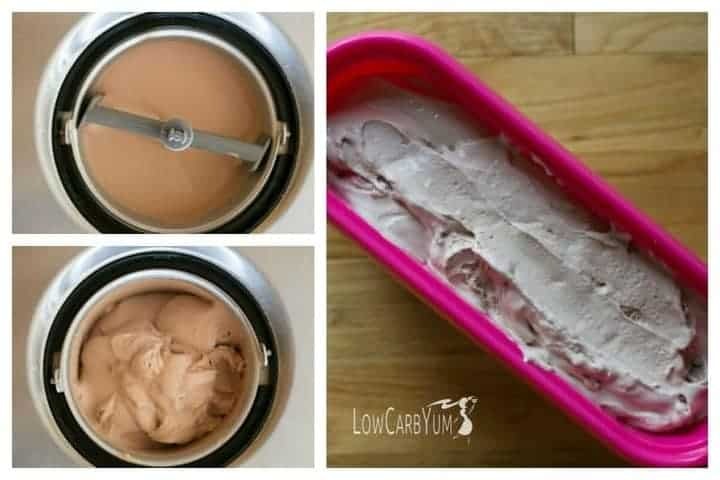 For a no churn ice cream version, I’d simply freeze the mixture in a covered container, and stir every 20 minutes or so for a couple hours. 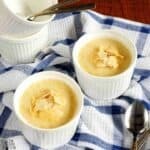 The addition of sour cream give the ice cream an authentic cheesecake flavor. I never thought to add sour cream to ice cream. It’s really just fermented cream so it’s a perfect replacement for heavy cream. 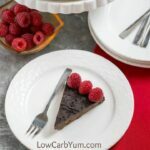 The use of sour cream makes the base mix for this low carb chocolate cherry cheesecake very thick. It’s so thick that I doubt the churning blade did much mixing. That’s why I think you could probably make this using a no churn ice cream making method. 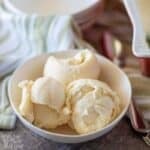 One of the things I like about using cream cheese in low carb ice cream is that it makes it more scoopable. You will need to allow the ice cream to thaw a bit on the counter first. But, once it reaches the right temperature, it scoops well. Unfortunately, I’m a bit impatient. So it usually doesn’t sit out long enough before I start grabbing some. 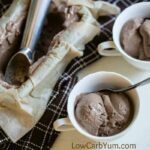 I used VitaFiber powder as one of the sweeteners because fiber sweeteners prevent rock hard low carb ice cream. You can use Swerve or another sweetener in it’s place. Just keep in mind that the Vitafiber powder is about 60% as sweet as sugar. 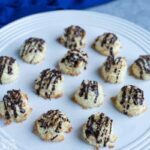 So, you’d need to use less of a one-for-one ow carb sugar replacement. Be aware that some people seem to be sensitive to fiber sweeteners like Vitafiber. I personally don’t use them that often because if I consume too much of them, I get a bit bloated and gassy. 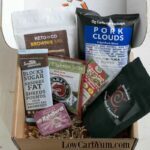 However, they are a good option to use on low carb in moderation. 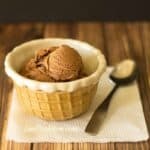 If you are okay in using Vitafiber, I’ve got a few other ice cream recipes you may want to try. These are ones that scoop well, too. 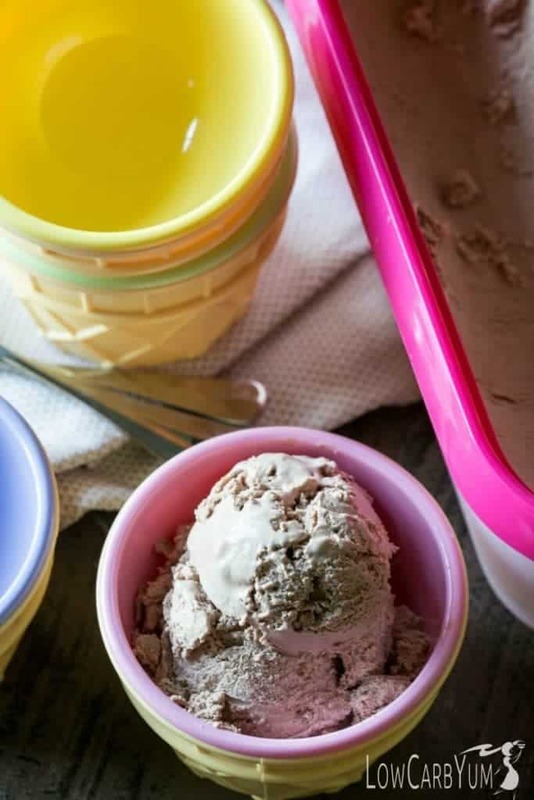 There’s one for vanilla, chocolate, and coffee ice cream. And, all of these are egg free low carb ice creams. What’s your favorite ice cream flavor? I have a tough time choosing, but I really like the taste of coffee. Beat cream cheese with sweeteners until well blended. Beat in heavy cream, sour cream, and cocoa until smooth. Cover and set in the refrigerator for 2-3 hours. 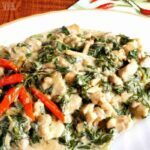 Remove from refrigerator and beat until creamy. 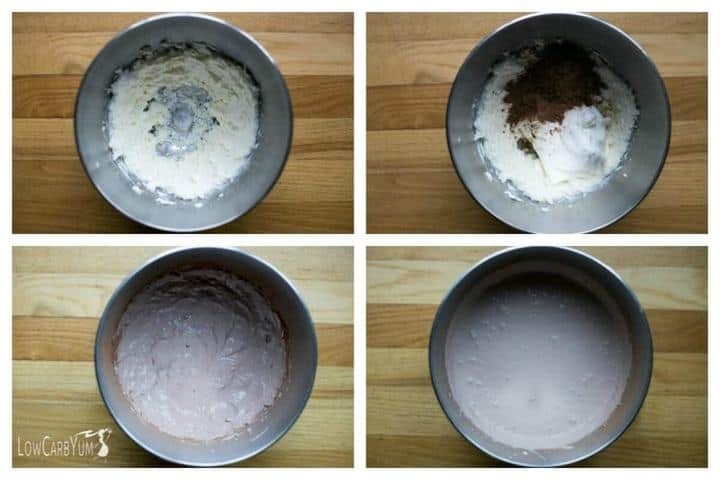 Transfer to an ice cream maker and process until desired consistency is reached. I made this with just Natvia stevia instead of the Vitafibre and monk fruit (not sure if I can get them in Australia). I’ve used Natvia in other ice cream before but I had to use more in this to counteract the bitterness from the cocoa and the sour cream. After about 15 mins my ice cream maker stopped churning because the stevia had made it really hard around the edges. It’s rock hard and crumbly even if I leave it out of the freezer for 20 mins before serving. I guess this wouldn’t have happened if I’d followed your recipe properly, but I don’t think I’ll be making it again. 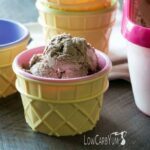 Erythritol is not the best sweetener for ice cream which is why I don’t normally use it. Or, if I do, changes are made to the recipe to prevent that. Sorry it didn’t work out. What kind of sweeteners would you recommend for ice cream if I can’t get Vitafibre or monk fruit? (Amazon doesn’t ship them to Australia. I haven’t looked for local suppliers but I guess they’d be really expensive anyway.) 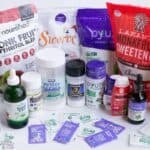 Does the stevia concentrated powder have the same problem? I’ve tried alcohol and xantham gum in other recipes but forgot this time. If you can get chicory root fiber, that helps. Glycerin also helps if that’s available. And adding a stabilizer like xanthan or guar gum or locust bean gum. 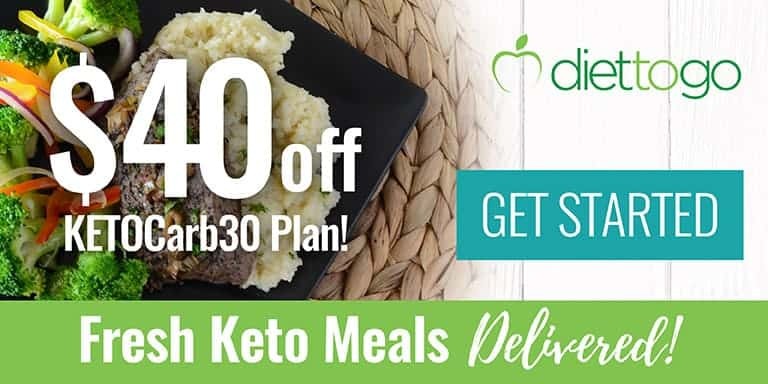 What are macros if not using vitafiber? You’d lose about 5 fiber carbs. They rest would be about the same. To buy VitaFiber, you can purchase it at http://www.vitafiber.ca. I use the syrup, it’s extremely easy to use! Just FYI the heavy cream isn’t mentioned in the instructions. I assume it gets blended in along with the sour cream. Also can I substitute the monk fruit with more erythritol or stevia and not hinder the recipe. Will fix the instructions. The cream is blended in with the sour cream. You’ll need about 2 tablespoons sweetener to replace the monk fruit.